Complete complimentary gift wrapping with a choice of papers and ribbons. L train at First Avenue and 14th Street: walk 5 blocks (South) down First Avenue; walk 1 block West (right) on East 9th Street. 6 train at 8th Street and Astor Place: walk 3 blocks (East) on 8th Street to 2nd Avenue; walk 1 block North (Left) up 2nd Avenue; walk 1/8 block East (right) on East 9th Street. R & W trains at 8th Street and Broadway: walk 4 blocks (East) on 8th Street to 2nd Avenue; walk 1 block North (Left) up 2nd Avenue; walk 1/8 block East (right) on East 9th Street. For over 26 years, the handmade wonderments at Dinosaur Hill have held their ground, demonstrating that there is still room for old world toys and handmade clothing in the new world of technological entertainments, plastic toys, and designer baby outfits. Gifts for infants to pre-teens encourage the imagination and challenge the mind, at every level, and all price ranges. A variety of purchases for less than two dollars, from plastic bugs to finger puppets, from English marbles to crack-your-own geodes, can be found here. Or, you might wander through the maze of fairy wands, wigs, and ballerina costumes, tumble amongst handmade plush toys, sort through a sampling of world music, or choose the perfect wooden pirate ship for the lucky youngster in your life. Educational toys abound: in the art supply section you’ll find paints, paper and kits for everything from weaving to make-your-own ukulele! Science types will gravitate toward the modern-day genetics and physics science kits; language lovers lose themselves playing “other language alphabet blocks”; musicians take interest in old school instruments like the xylophone and harmonica. For the youngest crowd there are walnut and cherry wood teething rattles, hand-knitted sweaters, hanging mobiles, and handmade quilts of fantastic quality and design. 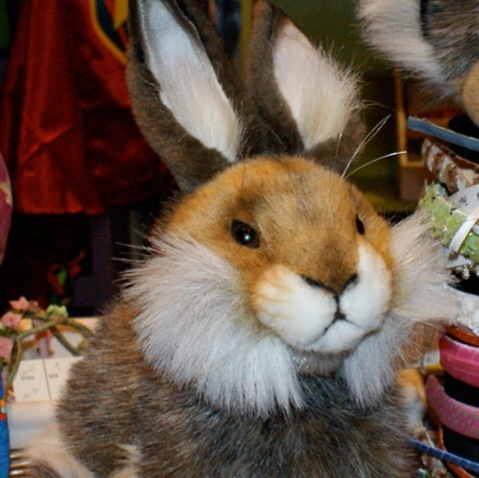 From German bunny rabbits and farmland pigs, made by Hansa, to reasonably priced baby dolls and locally made, hand-worked unicorns, you’ll find it here. In fact, for anything and everything the imagination can dream, Dinosaur Hill is your shop. With multi-year mentions in New York Magazine and Zagat, the staff's boundless creativity, and their dedication to the imagination, it's no wonder that this old world is thriving, smack in the middle of the hustle and bustle of New York City.